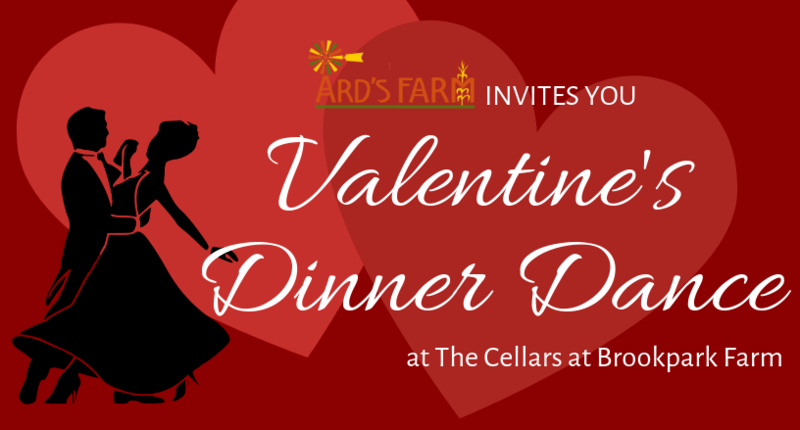 Join us for an evening of wine, dining and dancing with your special someone or a group of your friends at our Valentine’s Dinner Dance on Saturday, February 16th from 6-10pm at The Cellars at Brookpark Farm. Enjoy delicious hors d’oeuvres, your choice of entree and a dessert bar from Ard’s Farm and then dance the night away with music and entertainment throughout the night! The ticket price includes your meal and entertainment. A cash wine bar will be provided by Shade Mountain Winery. Musical entertainment will be provided by the Merely Players. Ticket sales will end Saturday, February 9th.